For the last decade of more we have seen the rebirth of the Mini. The Mini is a car that is exactly that a small car that is all about being small, compact and nimble. However many people don’t realize that the Mini car has quite a history that has evolved over many years. We have a collection of Mini car brochures, booklets and PDF sales literature that display both the early and later vehicles that has come to be know as the Mini today. Most don’t realize that the Mini car originally came to be in 1959 in England and the British Motor Corporation manufactured it. The original Mini cars were produced to satisfy the needs of the consumer at the time by offering a fuel-efficient car that could carry four passengers. Gasoline was expensive and being rationed at the time and the car buyer need a reasonably priced car that was cost efficient. Low and behold the Mini car was born. You can see from the Mini car brochures found here that it was a very utilitarian type car with very few bells and whistles. Even the Mini car specifications were less than impressive, but it did get the job done. The Mini name didn’t actually come into the picture until 1961 when it was sold under the BMC brands of Austin and Morris. You can see in the early Mini car literature and booklets that those brands were the brand and the Mini was the model of the car. The Mini was powered by 34 horsepower engine that did little more than get your from here to there. However in 1961 John Cooper, a Formula One race car builder got involved with the Mini car and pumped up that horsepower to and impressive 76 horses. That’s how the name Mini Cooper became the name that many people use today. You will see some Mini car brochures with the early john cooper influence. John Cooper actually got the Mini car to win the Monte Carlo Rally four years in a row from 1964 to 1967. Few cars are as instantly recognizable as the Mini. Loved for its diminutive dimensions and cheerful good looks, the British-born car has inspired passionate devotion both in the U.S. and abroad. The brand was briefly discontinued, but was revived in 2002 with help from BMW. Successfully paying homage to the original Mini Cooper of the 1960s, the reincarnated Cooper combines an athletic, BMW-engineered chassis with a space-efficient interior and a generous standard features list. The marque landed on American shores in 1962, but that was short-lived when they discontinued the Mini in the United States because new emissions standards in 1968. 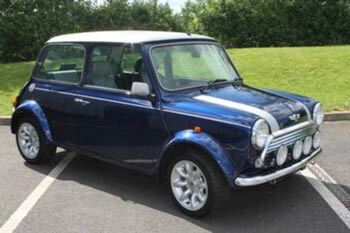 The Mini car made its debut on the big screen in 1969 in the original movie the Italian Job and once again in remake. You can take a look below and see the Mini car brochures even have one called the Italian Job. 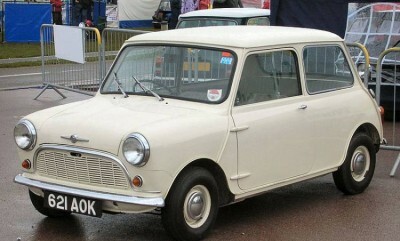 Mini continued to sell well in Europe throughout the 70’ and 80’s and in 1994 Mini was acquired by BMW. In 2002 BMW brought the Mini car back to America with the Mini Copper Hatchback. The New Mini was a hit and made available through the already established BMW dealerships in the United States. The Mini car has continued to evolve with the help of BMW. The line has expanded and includes several models like the Clubman, Countryman. They offer a well-rounded line that consists of coupes, roadsters, crossover SUVs and convertibles. I was impressed after I drove the Mini by the big car feel that comes from a Mini. Take a look at the Mini car brochures and sales literature here and decide which one you should take for a test drive.